Signature 40wt Cotton Thread is a 3 ply 100% cotton thread. 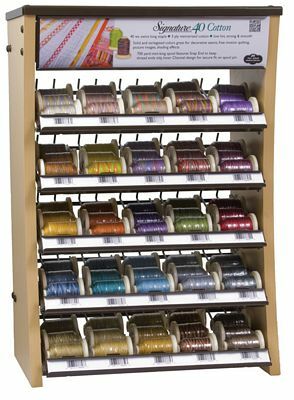 With excellent sewability at high-speeds, Signature 40wt Cotton Thread performs well on both long arm and home quilting machines. Ideal for providing dimension, texture and visual interest. Available on a 700 yd mini-king snap spool. Signature Art 40S.